These photos have already been published on Menton Daily Photo but in case you've not seen them, here they are. 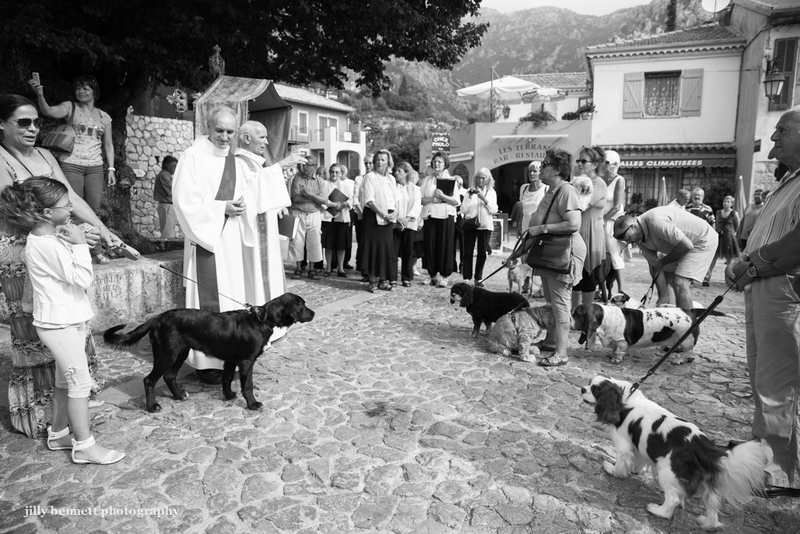 The Blessing of the Animals is an annual event and part of the Fete Patronale in the medieval village of Gorbio. 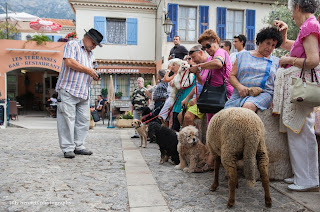 There were horses, dogs, a cat and note the sheep in the second photo! Note also Bouchette - she's the Bassett Hound in the centre right of the main photo and she isn't on a lead. She belongs to the Beausejour restaurant in the village and she brings herself to be blessed every year. How nice that you have this event. 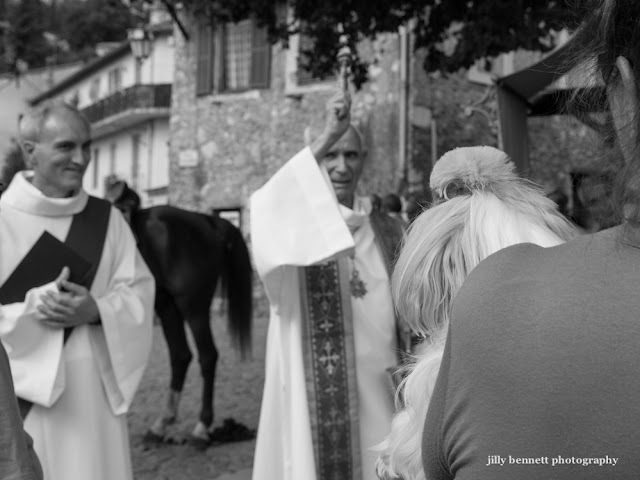 My dog has received the Blessing of the Pets from my uncle who is a Catholic Priest. Some churches here in Australia do this too!